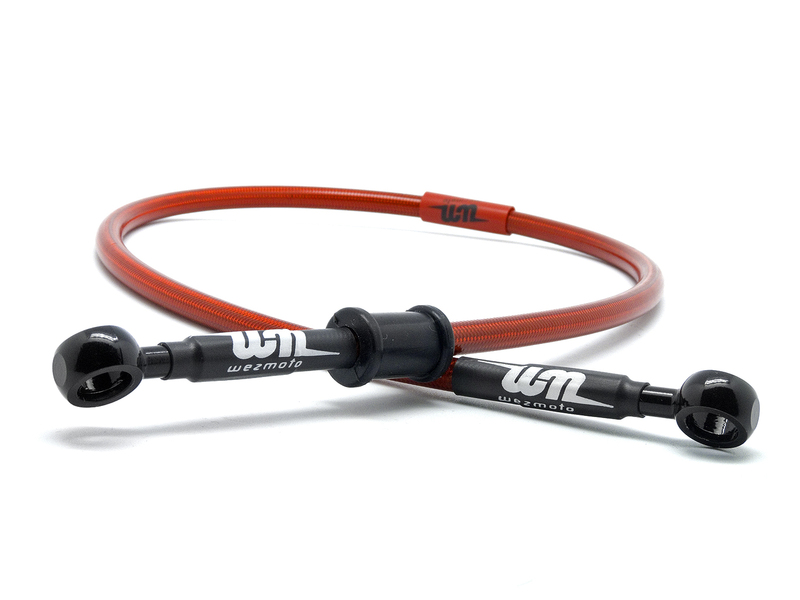 Wezmoto Clutch Hoses are a premium brand of clutch hose. This is why they are the choice for high performance motorcycles worldwide. When you buy Wezmoto Clutch Hoses, they will be: High quality, full stainless steel, non-corroding braided clutch hose…. 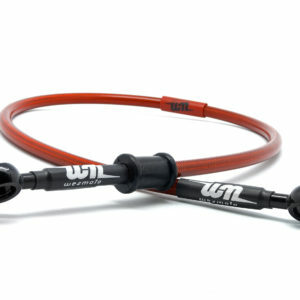 Wezmoto Clutch Hoses are a premium brand of clutch hose. This is why they are the choice for high performance motorcycles worldwide. High quality, full stainless steel, non-corroding braided clutch hose. Designed to exceed FMVSS-106, ADR, LTSA, DOT and TUV international standards. So reliable, that they’re used in many high performance, racing and custom motorcycles. Clutch control which is stronger, smoother and more reliable. Coated in a wipe-clean PVC cover. Included with a fitting kit if needed and a lifetime guarantee as standard. The solid, precision design gives it a life-like feel. It will respond perfectly to your senses and feelings, to give you clutch control which is smooth, responsive and flawless. 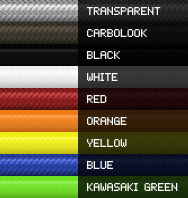 Choose your colours and click the ‘add to basket’ button to order your Wezmoto Clutch Hose.